Covenant Relationships: Is Gratitude Your Attitude? Why is it that today if some “stranger” offers you a drink or holds the door for you, you jump to thank them even before their act of kindness is completed, and yet, you show no gratitude to your husband or wife’s all day long or all year long? You won't get the best out of a wife who is not appreciated. Sooner or later the things you liked about her will vanish. She won't look good if she has a negative self image and that can happen to anyone. We all need a cheerleader sometimes. When was the last time you told your wife she looked good without her asking? A husband is the head of his wife's fan club. If she feels unappreciated she is not likely to get the best out of her or the marriage as a whole. This goes for the husbands too, positive reinforcement gets better results than constantly having feelings of entitlement. Here are a few ways wives and husbands can appreciate each other. Thank your spouse because they care, not because it’s their job. When your spouse helps with a chore. Tell them why you appreciate their act of kindness. Your spouse would be delighted to know why you are grateful so specify. Appreciate the time and thoughtfulness, not only the results. Even when your partner goofs up and is unable to deliver up to your expectations, thank them for their effort and time. Write and leave surprise “Thank You” notes. 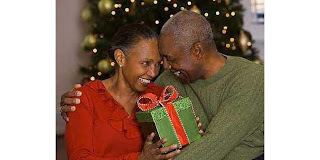 You would be surprised, how powerful these little acts of gratitude can be in making your husband or wife feel special. Let them know how important they are to your success. Whether it’s your career, academic pursuits, parenting, community work, or spiritual growth, appreciate how your spouse contributes to the achievement of your goals. Praise and thank them in private and public. Praise your spouse in the presence of others when you know she's within earshot. If your wife or husband feels down or drained one day, be more thoughtful. Offer to do the chores rather than waiting to be asked. Let them take a nap, give them a message, or a gift certificate to a spa, or give them a break from the kids. You can also just say thank you with a gift. Don't don' take it from me, you know your spouse and you know what makes him or her feel special. What we fail to realize is that expressing gratitude benefits both partners in the relationship—the recipient and the giver. When you give appreciation, you often receive even more in return. It's Christmas and that usually means lots of cooking, entertaining guests, etc. This is the perfect time to make the commitment to appreciate your spouse you might like to call it a resolution . The more “little things” you do, the more she’ll notice how much you appreciate what she does. You might even find out that he does a little more around the house. At least you can hope that happens. A marriage grows stronger when each person knows they are appreciated. Large gifts are great for the moment, but the little actions of love and gratitude go a long way.